SocioBlend is a company that, among other SEO services, offers social media marketing services. Established in 2013 in India, this provider offers promotional services for YouTube, Facebook, Instagram, Pinterest, Twitter, SoundCloud, and other social networks. 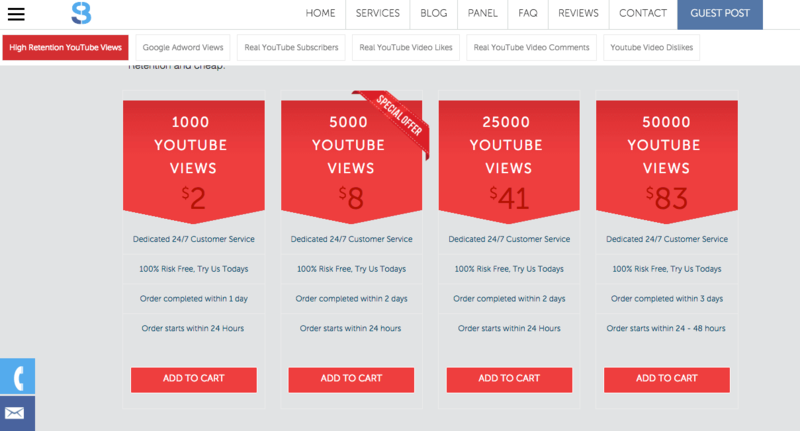 They are most known for providing the possibility to purchase targeted YouTube views. Their website has an intuitive and user-friendly outlook featuring quirky functionalities. They allow order customization. The ordering process is simple and straightforward as users are only required to share their URL and email in order to get started. They accept payments through PayPal and credit cards. SocioBlend offers a broad customer support service that can be reached by email info@socioblend.com, on their contact page form, phone support (+91) 9995347513, and on WhatsApp and Facebook Messenger. Those users who are not satisfied with the service may submit refund requests within 30-days after the order has been completed. There is no information on their website regarding their retention warranty or satisfaction policy. How did you like SocioBlend? Any particular feature that you liked or disliked? Tell us all about it by writing a review below.